Adam Simpson in Drama on 29 April, 2017. ‘I wrote a play and I decided to put it on’. Considering I introduced the Director’s/Writer’s note to the Bubble I find it deeply ironic that I don’t really know what to say about this play. I wrote a play and I decided to put it on. As it’s full of plot twists and surprises, I don’t want to give anything away, but I will say that I’m not really trying to say anything with this play. 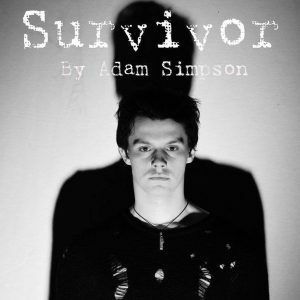 To give you a brief summary, Survivor is a dark thriller set in a dystopian world where there are trials that test how far citizens go in order to stay alive. These trials are simple tasks, however they begin to get of hand. This play focuses on two peoples experiences during the trials, and the guard who has to oversee their trials. If anything I’m merely asking the audience questions about themselves throughout this play. Being far from a philosopher, I’m not trying to make any life changing comments on the human condition. However, most of all I’d love for the audience to enjoy it. I admit the play is quite bleak at times, though I do not believe it ever becomes distasteful, and I believe the thrills outweigh the depression. It’s the first play I’ve written, and though I really do believe it in, being student theatre there is obviously much room for improvement, so I’m excited to hear people’s praises (hopefully), and criticisms so I can improve for my next endeavor. Yet, if the writing does not float your boat, I’ve tried to create a piece of theatre with much more going for it that just the text. I’ve tried to stage this play in an interesting manner that really sets the scene, and I’ve introduced many visual elements to really bring parts of the play to life. But, ultimately my favorite aspect of this production is my phenomenally talented cast. Each member has given their 100% every rehearsal, been a joy to work with, and even had probably more ideas regarding their characters than I, and I wrote them. I must also use this time to thank Shahnaz Alia Ford for her stunning visual art and Katie O’Toole for genuinely being the most organized and incredible producer one could ask for. This production has offered light and shelter for me in this bleak time period of my third year. I’d love it if it at least offers you some engaging entertainment too.